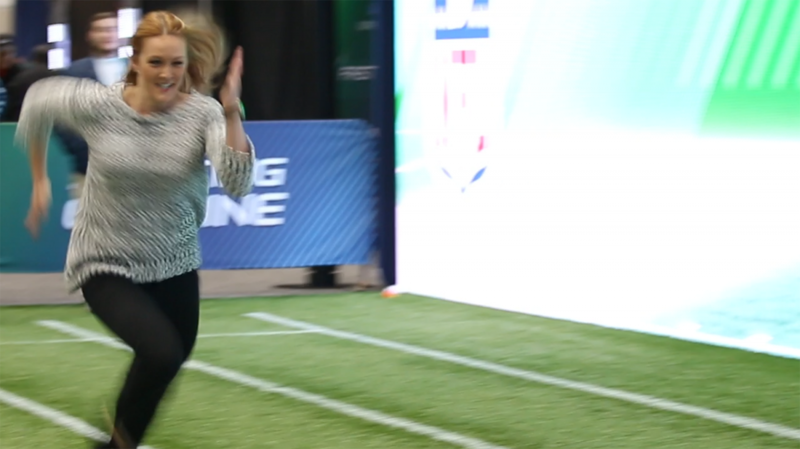 While covering the 2017 NFL Combine for detroitlions.com, Tori filmed a promo video for the Lions’ combine coverage by running the 40-yard dash in the fan zone. Dressed in her work clothes and heels, the video was originally just meant to draw viewers in to the Lions site, but with a time under six seconds, its reach turned out to be much wider. The clip went viral and was featured on ESPN, Huffington Post, NY Daily News, USA Today’s For the Win, MSN, FanBuzz, The Herd, and more. FOX 2 Detroit even invited Tori out to the morning show “The Nine” to have her race one of their anchors in heels.